Located on the north end of the Grand Strand in Little River, SC is Eagle Nest Golf Club. When you think of Myrtle Beach golf, Eagles Nest Golf Club should come to mind. A local Myrtle Beach golf favorite, Eagles Nest Golf Club first opened it’s doors to golfers back in 1971. This championship 18 hole golf course was designed by the legendary Gene Hamm and is open to the public. When you want to play a great Myrtle Beach golf course, Eagle Nest is a great option. The friendly professional staff at Eagle Nest will help you with anything that you could need: Hungry? A snack bar awaits you will sandwiches, drinks, snacks and of course an ice cold beer is called for on a hot summer day. Need balls, a sweatshirt or hat? No problem the fully stocked pro shop at Eagle Nest has you covered with that as well. One feature of this Myrtle Beach golf course are the elevation changes that Eagle Nest has throughout the 18 holes. The designer left as many natural elements as he could when this Myrtle Beach golf course, Eagle Nest, was built. 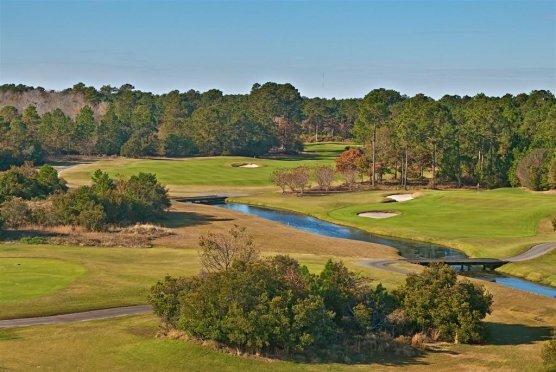 Natural water elements, towering pine trees and several species of birds are all items that you will encounter as your make your way around the 18 holes of this Myrtle Beach golf course, Eagle Nest. The undulating greens of MiniVerde grass have been maintained to a high level to ensure a wonderful round of golf with smooth rolling putts, which hopefully consists of several birdie or eagle chances. Carefully placed drives will be rewarded as you will want to stay out of the bunkers that are strategically places around Eagle Nest golf course in Myrtle Beach. Eagle Nest is also known as having the three toughest finishing holes on the Grand Strand. Be sure to add this well known local gem to your next Myrtle Beach golf package!